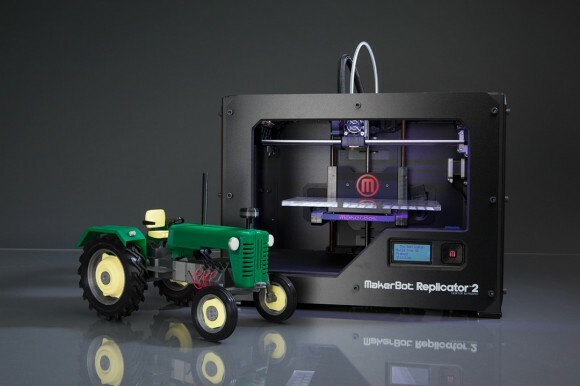 MakerBot has put out a new model of 3D printer called the Replicator 2. Which ought to be good news, as it's a sleek machine with some of the best resolution yet (100 microns per layer), and also prints bigger objects than the brand's previous consumer model. Mainstream news outlets and the press release tout this model as "prosumer" and "the most affordable tool yet for making professional-quality models." 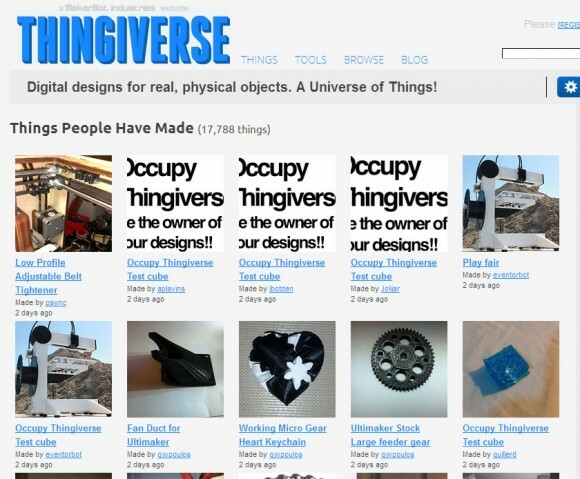 Why, then, is there an angry community of Makers who are removing their models from Thingiverse (MakerBot's community-driven digital model bank) and uploading "Occupy Thingiverse" images in a protest against MakerBot? For anyone interested, we are trying to get the story straight because the question of Open Source is at the heart of the Maker movement, and this move (and subsequent polemics) may put this value at risk. Josef Prusa is a Czech Republic-based developer in the RepRap project, open source information that allows anyone to build a self-reproducing 3D printer... community information upon which the MakerBot is based. 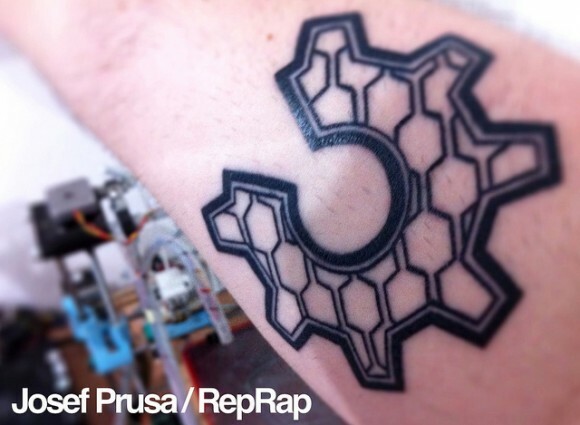 Prusa's pretty seriously into open hardware: he has tattooed its logo onto his forearm. He has also been one of the first to call out MakerBot on not being open source. While not all Makers have the guts to tattoo their values on their bodies, open source is at the core of the Maker movement. Without open source, there would be no consumer 3D printers at all, and probably no "movement" to speak of. If they close those doors, then it would give people who would say OSHW is not sustainable ammunition for their arguments. It would also discourage new OSHW companies from forming. That is a sad thing indeed. ...it doesn’t appear that being closed source and using patents and licensing will free any company from competitors, but instead will only open them to a different form of competitors. A form of competitor that really, truly is only there for the profit, and doesn’t have the ethics of open and community driven innovation. So let's get back to word prosumer that is being used in reference to the Replicator 2 (which, did we not mention, costs 2,199 USD and the super duper version, expected next year, will cost 2,799 USD). A rich word that could be interpreted as professional+consumer or producer+consumer. Makers are producer/consumers, and the MakerBot is a product that has been generated by them, thanks to many many hours of feedback and community work. But the price and the closure of the product makes it look like this company is selling out just to consumers, doesn't it? How can it be possible that they did not anticipate this backlash? Could it be that someone doesn't think the community is necessary now that the technology is at the top of its hype? MakerBot is one of the better known names in the 3D printing industry, but it is far from the only one. Will this change the values of the industry, or just cause a shift towards those who still value openness? We're interested in your opinions on the matter, and expect this story to unfold further this week.